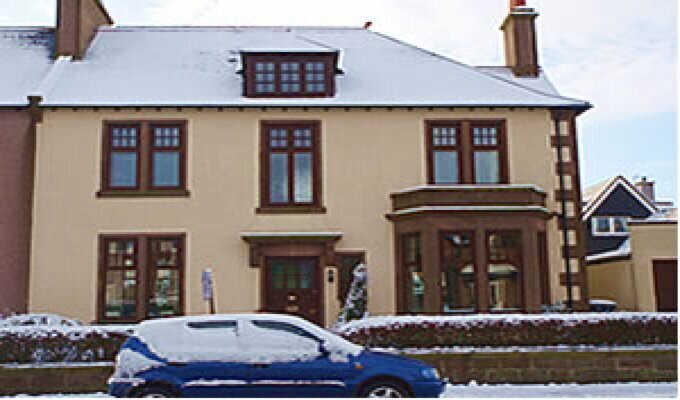 Adina B&B, is ideally located in the beautiful town of Stonehaven. We are 5 minutes drive from the dramatic Dunnottar Castle, 5 minutes walking distance from the railway station, 10 minutes from the unique art deco open air swimming pool and 10 minutes walk from the picturesque harbour. A 10 minute walk will take you to the small, independent town centre shops and restaurants. In a further 5 minutes you can enjoy the picturesque harbour and its pubs. Only 15 minutes drive time from Aberdeen and 30 minutes from Royal Deeside, Stonehaven is ideally situated for the discerning business person and tourist alike.